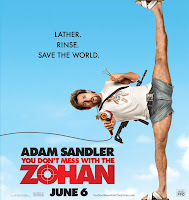 Adam Sandler is back with You Don't Mess With The Zohan, an hilarious comedy. It follow the adventures of a former Israely soldier who decides to go to New York USA in order to in order to pursue his dream of becoming a hair stylist. Maybe a farfetched story, but that's a damned hilarious comedy! I think I am a fan of Adam Sandler from now on. Smell it, smell it, now take it! I think teens are going to love this movie: quite you're going to hear Adam Sandler's words from kids in the street! But even my grandmother would laugh while watching this movie! 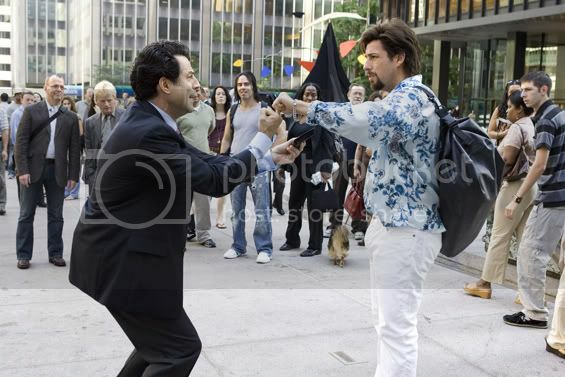 A new official trailer of You Don't Mess With The Zohan has been released. Unfortunately this new teaser isn't as funny as the precedent one... But well it's not that bad. Adam Sandler in the role of an Israeli soldier who wants to dedicate his life to hair style: a definitely funny character that Adam Sandler can but make vivid! 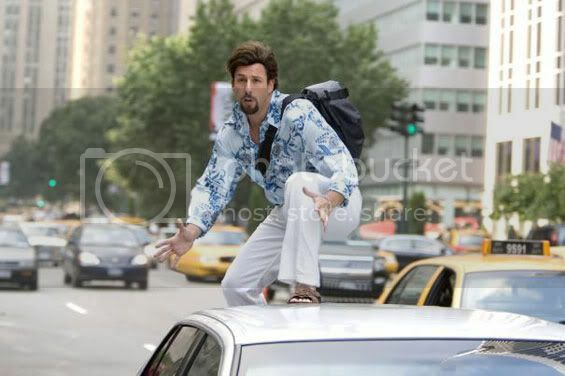 A new trailer has surfaced on the web for You Don't Mess With The Zohan, upcoming comedy movie starring Adam Sandler. This new trailer is much more appealing than the precedent ones, and it' so funny. I love it. Besides those oriental songs in background give a really special touch to the whole thing! The world is a village! 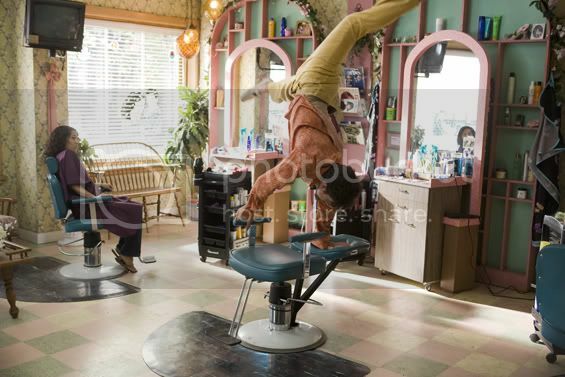 Peace on Earth: may all soldiers become hair stylists! Have been interviewed: Adam Sandler, Rob Schneider and Emmanuelle Chriqui. Fortunately the comedy You Don't Mess With The Zohan is much more fun to watch than this interview. Promise! Have you heard about AdamSandler upcoming comedy? 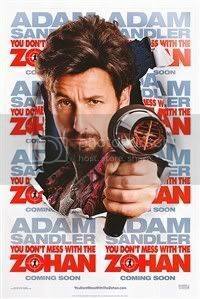 You Don't Mess with the Zohan was written by Adam Sandler in cooperation with Judd Apatow, and Robert Smigel. It shoud be released in June 2008. Don't Mess With The Zohan! That's a really big laugh in perspective!